Modern Turkish poetry, besides its many other aspects, is a well of awareness of contemporary world poetry. Even a prominent poet from the U.S. or Finland may have no clue about what's happening now in Turkish poetry. Yet, you cannot become a prominent poet in Turkey without knowing what's happening in the U.S. or Finland. Though not appreciated by other nations' poetry circles, this virtue of Turkish poetry makes it unique. I think this is due to the fact Turkey neither solely belongs to the East nor the West. Turkey has never been a colonialist power, thus Turkish has not been imposed on the people of other countries. Similarly, there has not been a second language in Turkey brought by colonial immigrants. The uniqueness of Turkish poetry and awareness of other poetic styles has given modern Turkish poetry enough courage to create extreme poetic movements throughout history. Perhaps the most revolutionary and rebellious aspect of Turkish modernization is its new poetry. From the 1860s until the 1960s, the above mentioned revolutionary enthusiasm of "making new" was the main motivation of Turkish poets. There had been many movements and revolutionary generations who were generally opposed to their predecessors. Younger poets turned their backs on older poets, and this has continued. However, the last revolution of poetry in the 1950s, led by such poets as Sezai Karakoç, Cemal Süreya and Turgut Uyar, somehow became permanent. I suppose this depends on two major facts. First, the İkinci Yeni (Second New) movement renewed poetic discourse. The style of İkinci Yeni poets is very close to daily speech. Second, imagism is the core attitude of İkinci Yeni poetry. Imagism expressed through daily speech was the new formula of Turkish poetry. This formula owes much to Turgut Uyar, who was called "the middle of İkinci Yeni" by his peers. Turgut Uyar was born on Aug. 4, 1927 in Ankara. He was the fifth child of six children. His father, Hayri Bey, was a military officer and was often away from home on duty. Uyar remembered his days in Edirnekapı, a moderate neighborhood in Istanbul, as a pathetic child. "I am always pathetic," he wrote once, "If there is a man who is bored, he is me. This is the most suitable form to me. That's because I am a soldier without a weapon." The last sentence reflects both reality and metaphor. Uyar was a personnel officer in the army, which means he was not a combat soldier. When Hayri Bey retired from the army he had the rank of cartographer major, on which Turgut Uyar puts special emphasis. The Turkish army did not enhance Hayri Bey's rank much since he did not leave his family in Istanbul to join the War of Independence in Ankara. Uyar wrote, "The Turkish army was of course right. Yet I believe my father was right, too." Like his father, young Turgut also attended military schools. He first attended the Military Secondary School in Konya and then graduated from Işıklar Military High School in Bursa. Eventually he attended and graduated from the Military Public Servants. He served as a military public servant in Posof in Ardahan province for four years and in Terme in Samsun province for two years. His early poetry reflects those days in the country. Uyar married too early when he was still in school. He had three daughters from this early marriage. Unfortunately, his marriage with Yezdan Şener ended in divorce in the 1960s. He then married Tomris Uyar, a prominent short story writer in 1969. While working in the country, Uyar's first two collections of poems were published: "Arzıhal" (Submission) in 1949 and "Türkiyem" (My Turkey) in 1952. Both books were appreciated and applauded by critics including Nurullah Ataç, who was then seen as the boss of the Turkish poetry environment. Ataç wrote on and praised "Arzıhal" where the poet reflects a secular state of mind toward religion. "Arzıhal" and "Türkiyem" were in the line of master poets from the Garip (Strange) and Memleket (Homeland) movements. The poems included in these books reflect lyrical love side by side with patriotic love. These are readable and refined poems, but they cannot be seen as revolutionary or very creative. Uyar completed his military duty in the country and moved to Ankara in 1954. The city and people had changed. A speedy modernization was now at hand. Uyar responded to this with binary and ironic poetry. Since he was a talented poet and a man of wit, he at once realized and adopted the style of the new İkinci Yeni movement in Ankara that was started by Sezai Karakoç and Cemal Süreya, which followed the "Garip" movement led by Orhan Veli in the 1940s, which was seen as the "first new." Uyar was always praised as he tested new things in poetry. His first poems, which can be viewed as a part of the İkinci Yeni movement, were applauded by both İkinci Yeni poets and the new critics supporting the new movement. Among these, Hüseyin Cöntürk, who tried to establish a modernist Turkish method of criticism adopting the style of New Criticism of the U.S., gave great support to Uyar and wrote a special book to criticize his poems. 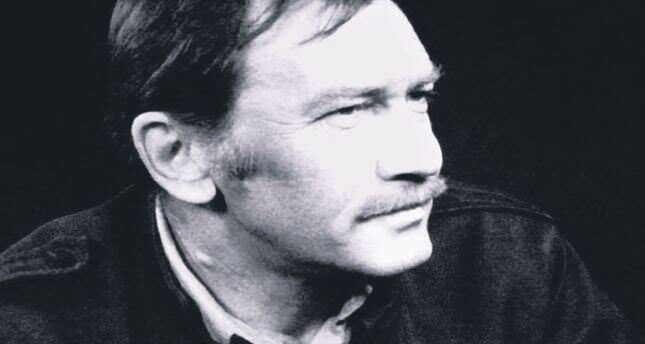 Though he has not been a best-seller like his peer Cemal Süreya, Uyar's poetry has always been one of the major subjects of the literature on poetry. If you want to test yourself as a critic, you should write on Uyar's poetry. Uyar's third to fifth books, namely "Dünyanın En Güzel Arabistanı" (The World's Most Beautiful Arabia) in 1959, "Tütünler Islak" (Wet Tobacco) in 1962 and Her Pazartesi (Every Monday) in 1968 were among the top books of the İkinci Yeni movement. These include visionary, imagist and somehow epic poems. Though the poet used daily speech in his style, he did not walk on a single path of narration. Uyar's poems are full of narrative shifts, mood changes, and ambiguous techniques such as stream-of-consciousness and imagism. Yet, his poetry tended to become epic and political in the modern sense. In his later poetry, this became more obvious, but he showed some political colors even in "Arabia." Politics is not direct in the above mentioned three books, but rather like an impressionist's use of color. Love and sensuality covers the political motivation toward revolution. In "Tütünler Islak," Uyar praises being a "barbarian" and going to the "mountains." He tried to break the conformism of big city life that had shocked him as he returned from the country. In a three-fold poem in "Her Pazartesi," "Malatyalı Abdo İçin Bir Konuşma" (A Speech for Abdo from Malatya), he speaks through three characters: the poet, poor villager and public servant living in a small city. The poet lives like the public servant while his feelings tend to become like the poor villager who has some heroic and archaic qualities according to the poet. In a couplet the poet speaks in the voice of the public servant: "When I worked, and stayed honest and Islam / I say this is a good beginning to make love." Uyar published four more volumes of poetry, and a single volume on poetry, namely "Bir Şiirden" (From One Poem) where he examines 21 poems of 21 poets before his period. Turgut and Tomris Uyar had a son named Hayri Turgut and the family lived together in Istanbul until Turgut Uyar's death on Aug. 22, 1985.